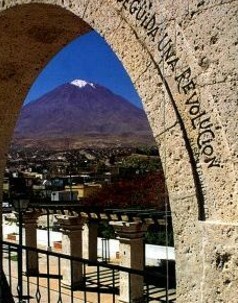 Nevado Chachani is the highest of the mountains near the city of Arequipa in southern Peru. 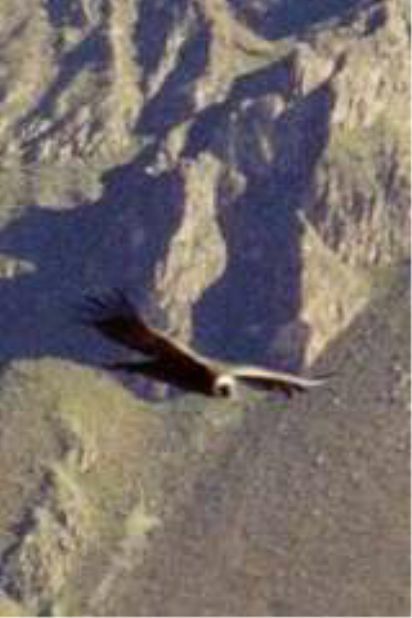 Its name means “skirt” in Quechua, and a female character is normally attributed to the mountain in local legends. 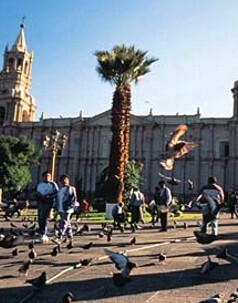 As a result of the very low precipitation in the Arequipa area, Chachani does not have a permanent ice cap or glaciers. 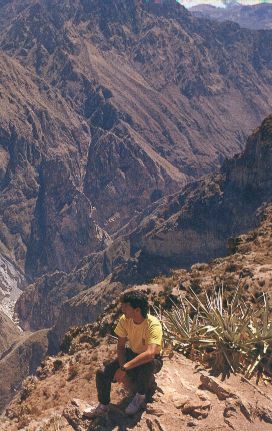 Climbing Chachani is popular, though the altitude is considered highly challenging for those who are not fully acclimatized. 07:00 Leave Arequipa towards nor west direction behind chachani mountain, cañahuas high plateau & national reserve of aguada blanca possible see wild vicuñas on route as well as alpacas. Continue into the pass between misti & chachani mountain. East side. 09:00 arrive to east side ( detour) at 4,200 meters. 10:00 approx. 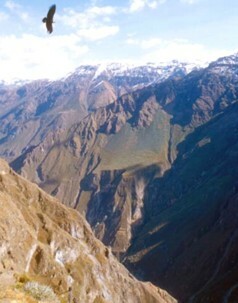 Start the trekking , ascending until 5,100 meters. Sandy terrain some red colorations on rocks, view of pampa cañahuas and aguada blanca. 12:00 Box lunch and brief rest to re start of the trek. 04:00 Start the trek ( the hard day, the ascent takes about 6 hours) light equipment cross two picks col and coronado, then turn to the frontal face (See Arequipa) take a rest at 5,800 meters, then continue the ascent through angel and fatima peaks, finally reach peak of chachani at 6,075 meters about 11:00. Rest. 12:30 Lunch and return to base camp. 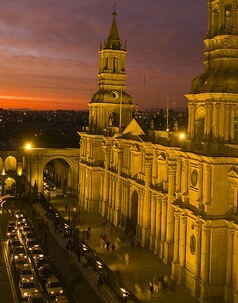 • Private transportation (which stays in base at 4,800 masl for emergencies). • Specialized English speaking guide. • Complete meals: 02 box lunches, 01 dinner (hot), 01 breakfast, 01 snack. • Cook, porters for logistics.
. 1 ½ liters of water per day per person. • Complete equipment: bi personal tents type igloo, insulators, cooks, lamps. • Map and explanatory pamphlet. • Carriers for their personal teams.